A looming May 31 deadline for public companies to report whether their products contain “conflict minerals” has just been cast into doubt. The federal Court of Appeals for the Sixth Circuit has upheld most of SEC’s conflict minerals rules against challenges (National Association of Manufacturers v. Securities and Exchange Commission) (“NAM v. SEC”). However, the Court found that the Rule violates companies’ First Amendment rights to the extent it requires some to state in SEC filings and on their websites that any products have “not been found to be ‘DRC conflict free’”. What does this mean, and how might affected companies respond? 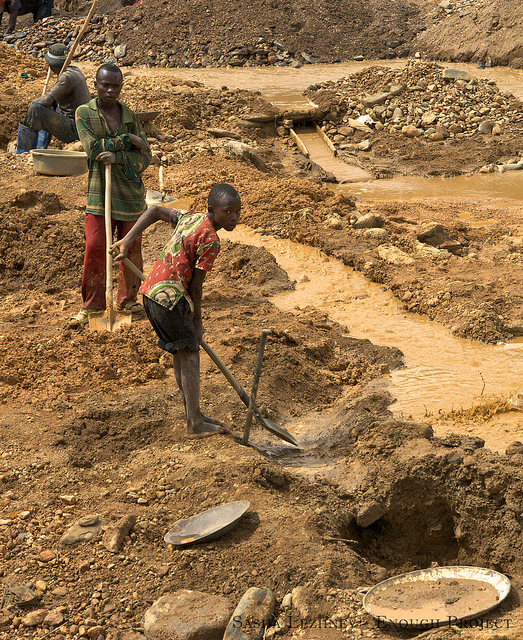 What is the Conflict Minerals Rule? SEC’s Rule implements a mandate contained in 2010’s massive Dodd-Frank Wall Street Reform and Consumer Protection Act (Dodd-Frank). Dodd-Frank responds to years of growing international concern that armed groups in the Democratic Republic of Congo (DRC) mine and/or smuggle these minerals to fund their participation in that region’s chaotic continuing conflicts—believed to have killed 5 million people since 1998, and fed human rights violations against many million more. International attention focuses on four specific “conflict minerals": tantalum, tin and tungsten used primarily in the electronics industry; and gold used primarily in jewelry. Dodd-Frank requires SEC to direct international companies to investigate and report whether they have conflict minerals in their supply chains, in expectation that companies will take steps to avoid these supplies. If so, conduct a “good faith” country of origin due diligence evaluation to identify whether any of its supplies of these minerals originate in the DRC or an adjoining country. Obtain an independent private sector audit of these activities, conforming to a “nationally or internationally recognized due diligence framework,” if one exists [none does at present]. Discloses whether its supplies: originated in DRC, did not originate in DRC or came from recycling or scrap (“DRC Conflict Free”), or whether it is unable to make a determination (“DRC Conflict Undeterminable”). Includes an audit certification for its third party audit. Identifies steps it is taking to mitigate the risk that its supply chain includes conflict minerals that benefit armed groups in the DRC. Posts this information on its Internet website. Initial reports are due from most issuers by May 31, 2014. However, SEC delays this requirement for “smaller reporting companies” (e.g., the value of its public shares is less than $75 million, or other similar criteria are met) until May 31, 2016. (I blogged about this Rule here, and Ron Pippin blogged with additional compliance information here). What Does the Court Decision Change? Was “arbitrary and capricious” because SEC had not provided a de minimis exception for issuers whose products might include minimal amounts of conflict minerals. Did not reflect SEC’s cost-benefit analysis by limiting its applicability. Violated issuers’ First Amendment rights by requiring them to describe products as “not been found to be DRC conflict free” in SEC filings and on their public websites. In July 2013 the District Court rejected all these arguments, but on April 14, 2014 a split Court of Appeals accepted the third argument and ruled that Dodd-Frank and Rule 13p-1 violate the First Amendment. In doing so, the Court accepted NAM’s arguments that “[T]he label ‘conflict free’ is a metaphor that conveys moral responsibility for the Congo War”, so requiring a company to admit its products have “not been found to be DRC conflict free” compels it “to confess blood on its hands.” The Court rejected SEC counter-arguments that the statement is factual rather than moral, and that the Rule does not prevent issuers from providing additional information to refute any implication of moral responsibility. The Court left open the possibility that SEC itself could make such a determination, based on issuer filings about due diligence reviews, and remanded the case to the District Court for further proceedings. Rule 13p-1 requirements for due diligence reviews survive, but without requirement for issuers to admit when the results fail to demonstrate that products are conflict free. Readers subject to these requirements should watch SEC carefully in the coming weeks because, as of April 14, SEC has 45 days to petition the Circuit Court for rehearing (by the three judge panel) or rehearing en banc (by the Circuit Court judges as a whole), and 47 days until the May 31 deadline that has now been affected. As of this writing SEC has made no public statement of its intentions. Do I manufacture (or purchase) products that contain any of these conflict minerals, in ways necessary to their functionality or production? If so, have I evaluated the supply chain to identify the country of origin of these materials, to know if any come from the DRC or an adjoining country? Have supplies and suppliers of conflict minerals been evaluated according to any broadly-recognized guidelines or evaluation mechanisms? Has there been an independent third party audit of the evaluation process and its underlying data? If so, by whom, and following what auditing procedures? If any sources are not certifiable as DRC Conflict Free, am I searching for alternatives? Alternative processes or products that can be certifiable?